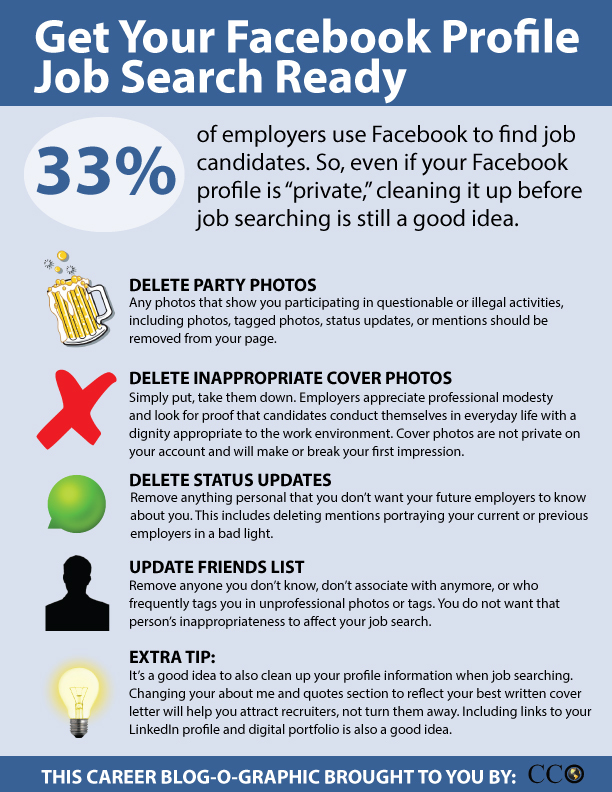 Is Your Facebook Profile Job Search Ready? A lot of people think that even though they have made their FB profiles “private” and have shared nothing more than their undying commitment to their favorite TV show or pictures of their children, that there is really nothing more to be done to their profiles when they launch a job search. As this infographic from Purdue University’s Center for Career Opportunities shows, there are a few other things to think about.